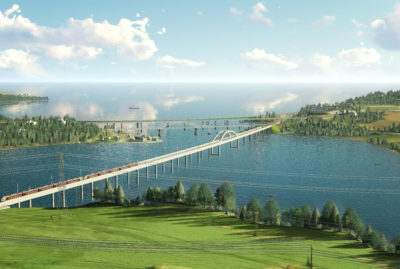 The Ringerike Line is part of the major InterCity project, and with the E16 Høgkastet-Hønefoss project constitutes the biggest joint road and rail project in Norway. 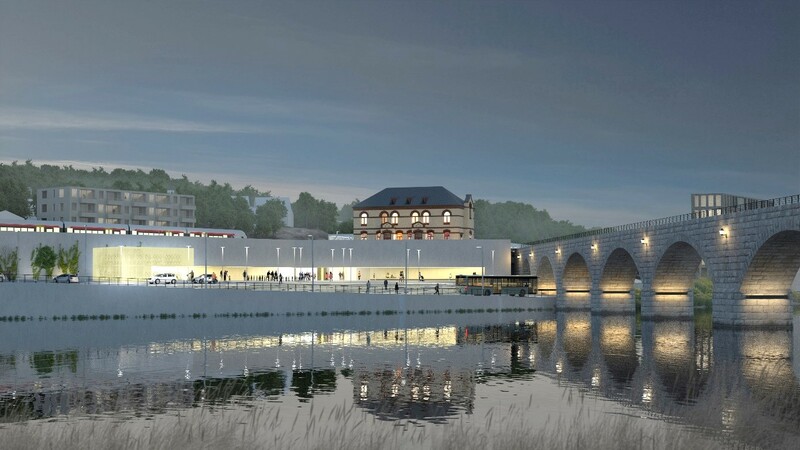 The Ringerike Line will reduce the journey time by rail between Hønefoss and Oslo by almost an hour. Journey time on the Bergen Line will also be reduced by a similar amount. 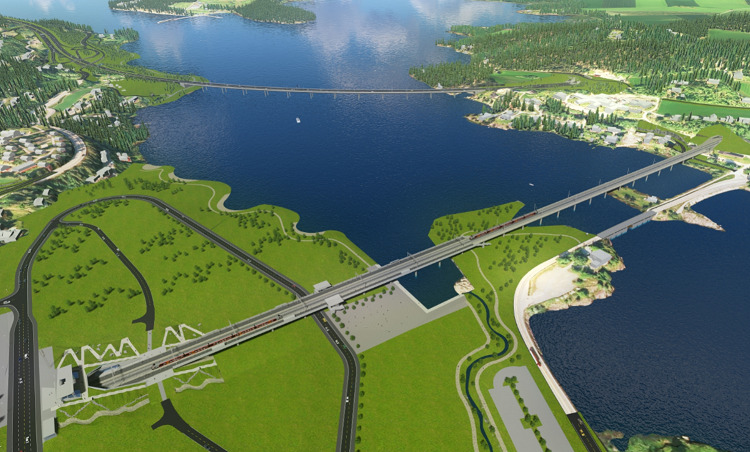 A new four-lane European Route will also be built, and in tandem with the double-track railway will connect the Ringerike region closely to the Oslo region, creating mutual residential and labour markets. The planning process will be implemented as a centrally prepared zoning plan. On this project, Aas-Jakobsen is working with Norconsult and Asplan Viak AS through NAA, a limited company set up for this purpose. 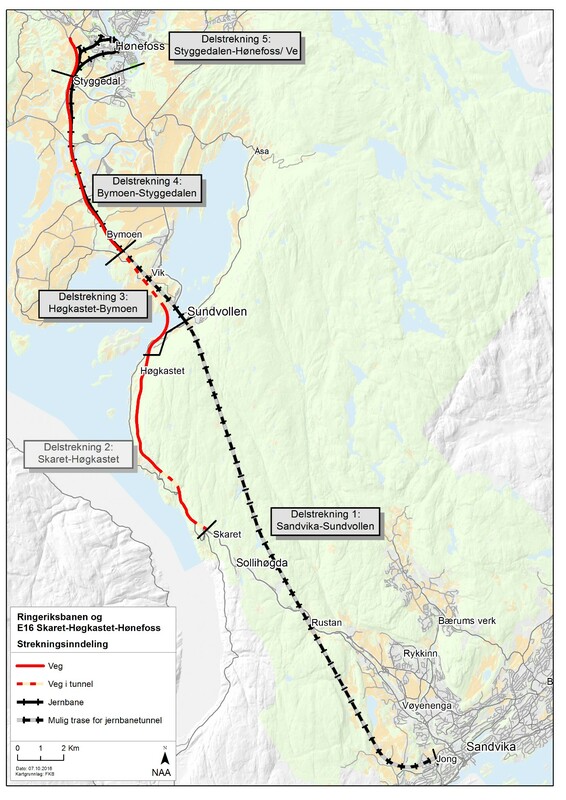 As well as general assistance to the project, Aas-Jakobsen’s network is responsible for designing two of the five subsections, specifically Section 3 (Ringerike Line up to Sundvollen Station and E16 Høgkastet to Bymoen), and Section 5 (Ringerike Line and E16 from Styggdalen up to Hønefoss Station, and the E16 intersection at Ve). 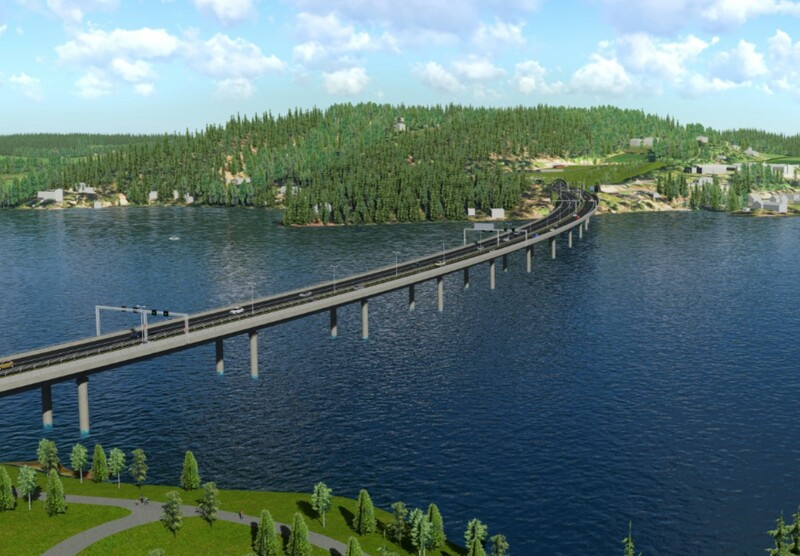 The project consists of 40 kilometres of double-track railway between Sandvika and Hønefoss, with a maximum speed of 250 km/h. Approximately 23 + 3 kilometres of this section are railway tunnels. 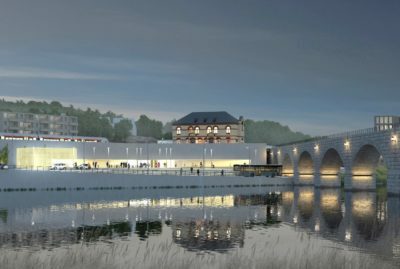 A new station at Sundvollen, several long bridges between Sundvollen and Hønefoss will be built, as well as a new station at Hønefoss which will connect the section to the existing rail network. 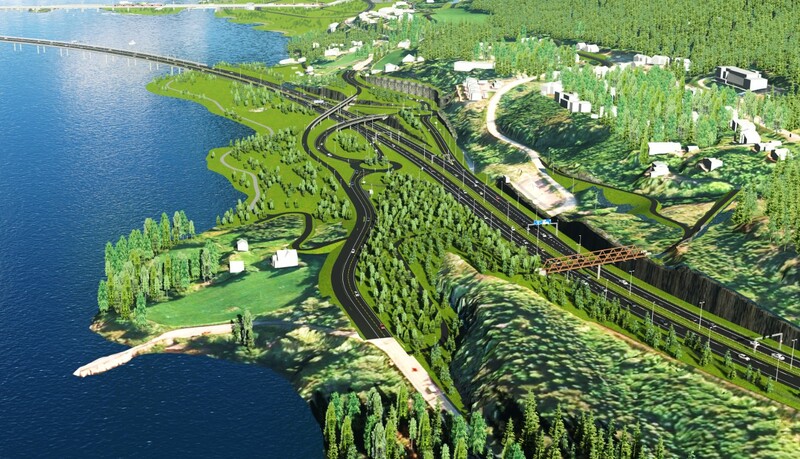 Around 24 kilometres of four-lane road will be built between Skaret and Hønefoss, with a speed limit of 110 km/h. 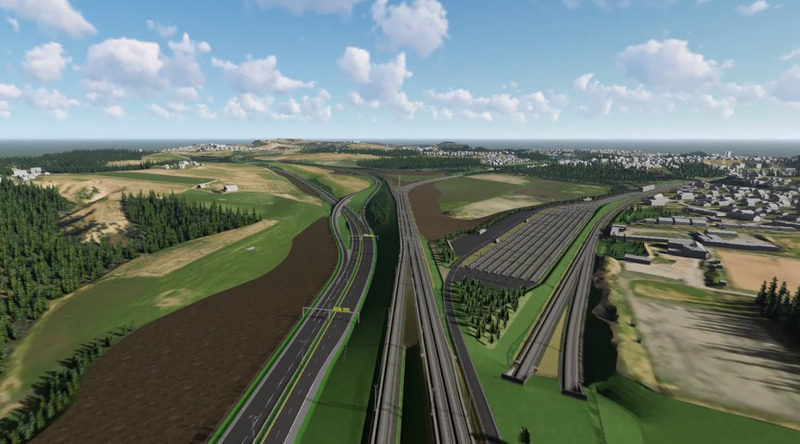 The road will have a tunnel of around three kilometres, several long bridges, four stack interchanges, and will run in the same corridor as the railway between Bymoen and Styggedal. The technical focus areas on sections 3 and 5 have been the design of the station areas and motorway intersections, the long bridge over Kroksund, the huge variation in rock profiles in the tunnels under Vik, the connection of a rail section up to Hønefoss, challenging ground conditions with a great deal of quick clay, as well as the fact that construction work has to take place in areas where roads and railway lines are already in operation. The solutions for the focus areas have largely been developed through a series of well-prepared thematic meetings and the full involvement of the client in the engineering design strategy. 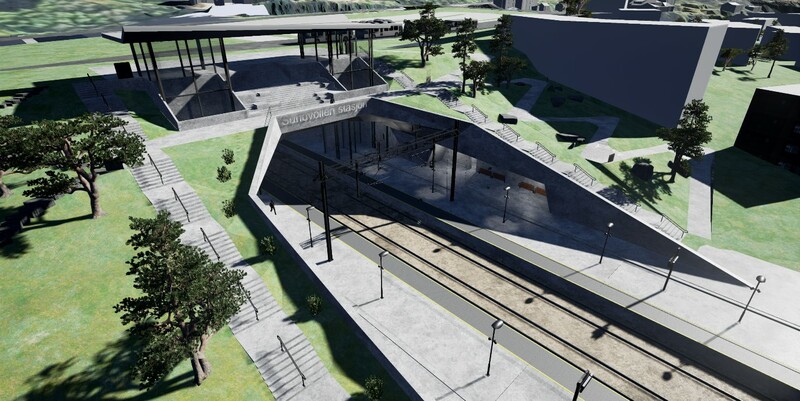 Even though the master plan and site surveys were not available in advance, the detailed technical design was completed in around one year. A large number of disciplines completed a substantial volume of high-quality engineering design work within a time frame that was unusually short for a project of this size. 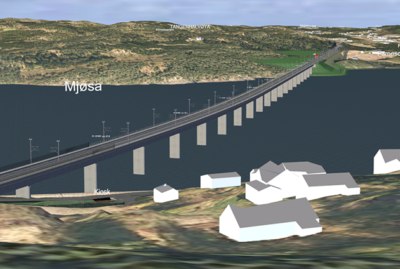 Aas-Jakobsen and its network have worked with Norconsult and Asplan Viak AS to prepare the technical detailed design for the biggest joint road and rail project in Norway in record time. This technical basis provides a solid foundation for the next phase of work, the centrally prepared zoning plan.